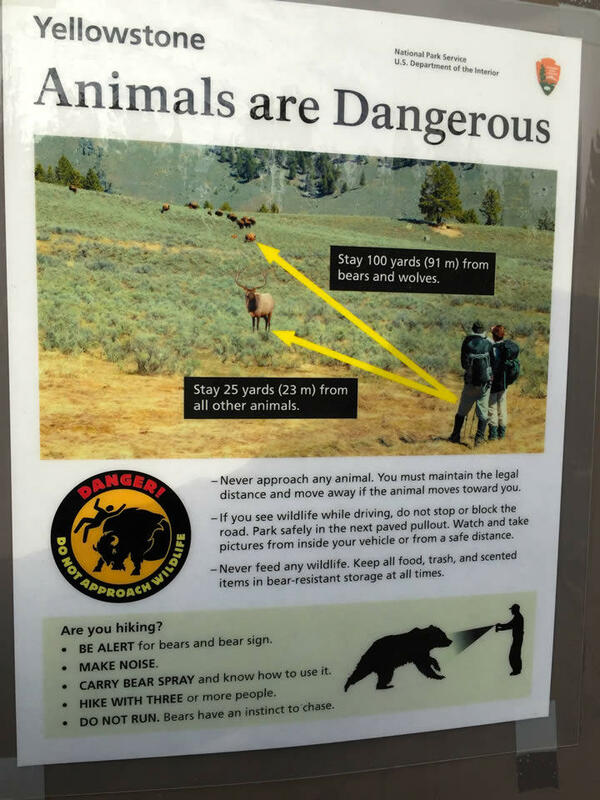 Signs abound in Yellowstone warning of the dangers of approaching wildlife too closely. The summer tourist season is just now getting into full swing, and already there have been two fatal accidents at Yellowstone National Park. 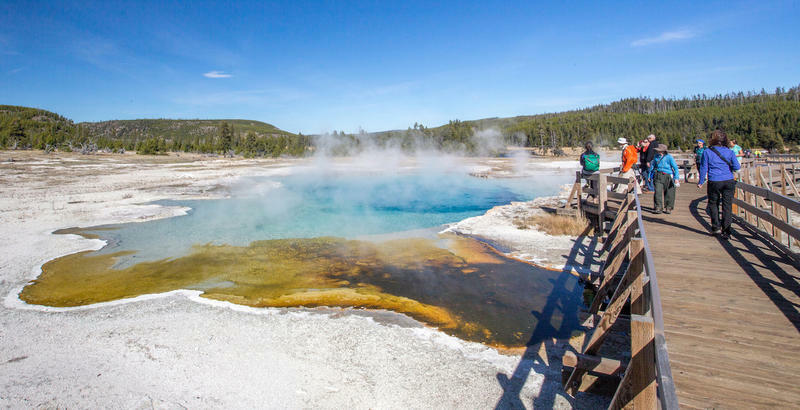 There's also been at least one severe burn in one of the park's geyser basins, and people around the world have heard about the tourists who put a baby bison calf in the back of their car in May. I asked Dan Wenk, the superintendent of Yellowstone National Park, what's going on. "The least studied animal, or species, in Yellowstone National Park has been the human," Wenk says. "They're working on that," he adds. "We've instituted a very, I think, robust social science program over the last couple of years where we're really trying to understand visitor use, visitor expectations, visitor enjoyment, how people are using the park, and what kind of impact that visitation has on the natural resources of Yellowstone." "People taking selfies while driving," Webster says. "And having a bison on the edge of the road and driving past and taking a selfie. So, certainly that's not encouraged. You can't make this stuff up is what we say." 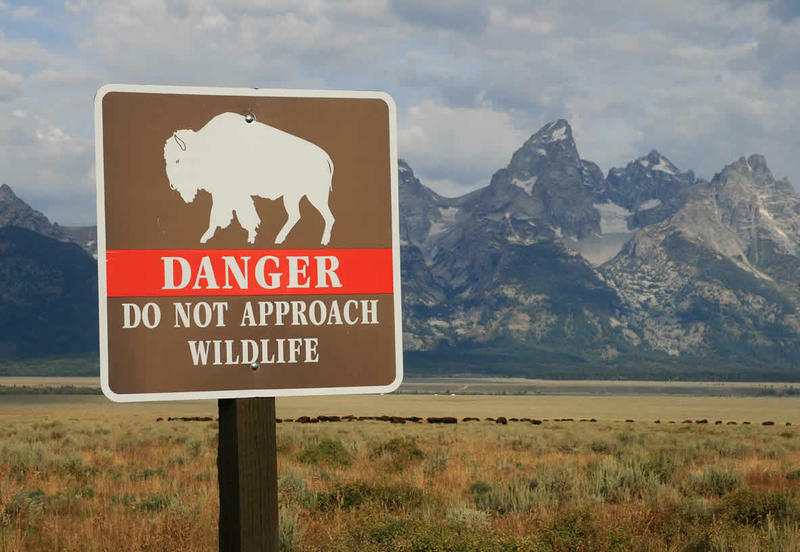 What Webster wishes is that more people would report dangerous visitor behavior to Yellowstone's rangers. "We're finding out about all these incidents on Facebook and from the Internet, from news articles, because in general, people aren't reporting this to us," he says. Webster wants to start taking advantage of the fact that almost every Yellowstone visitor now has a phone and camera in their pockets to help rangers respond more quickly to rules or safety violations. That beats playing catch-up after seeing a post on YouTube or another media channel. Right now, social media seems to be driving more bad behavior than helping to curb it, Webster says. "I think it's just the phenomenon with selfies and social media that people want to get something interesting, get a cool photo of themselves and share it with the world," Webster says. 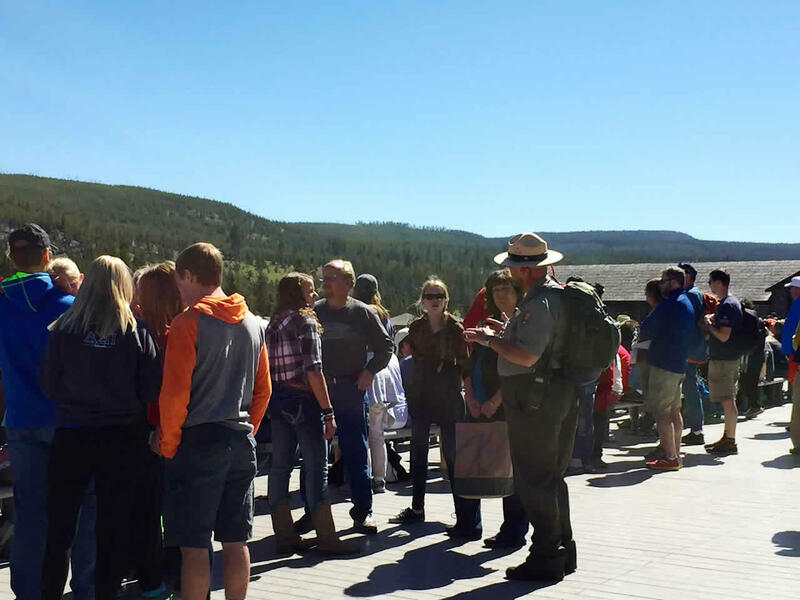 A park ranger talks with tourists at Yellowstone's Norris Geyser Basin. More than four million people visit Yellowstone each year now, most during the four-month summer season. Inside the visitor center at Old Faithful, it can feel like they're all here at the same time. And more people means more dangerous behavior, Webster says. "It does seem that the incidents are becoming more frequent." The park goes to a lot of effort to tell people the rules, which are there to protect them as well as Yellowstone's natural resources. There are signs in eight different languages throughout the park, and a couple of nice people named Eric and Jen are on the radio across the park offering advice. "Safety point number one: No selfies with wildlife. Seriously, don't do it," says one safety message. Last year at least five tourists were gored by buffalo while trying to take selfies, or just getting too close to the animals. Webster say he doesn't think a lack of information is why tourists are getting into unsafe situations. "I think there's a handful of folks that do know the rules and understand them, but once they're put in the position where they see something exciting like a bear or a bull elk, they sort of lose that and get excited, get caught up in the moment," Webster says. "Also the negative reinforcement of the masses being close; I think they see so many people getting too close that they feel that it must be okay, which in fact it isn't okay." Both Webster and Park Superintendent Wenk say they don't think the park needs more rules. And both say, sure, it would be nice to add to the ranks of Yellowstone's 300 rangers, but for now, they're going to stick with the park's strategy for keeping visitors safe: Educate them about the rules and risks, reprimand them when they can and need to, and, finally, cite visitors for violations, and hope the courts mete out punishments that deter others. This month, a visitor from China was fined a $1,000 for trying to collect water from Mammoth Hot Springs. Chief Ranger Webster says he thinks that kind of fine sends a message. YELLOWSTONE NATIONAL PARK, Wyo. 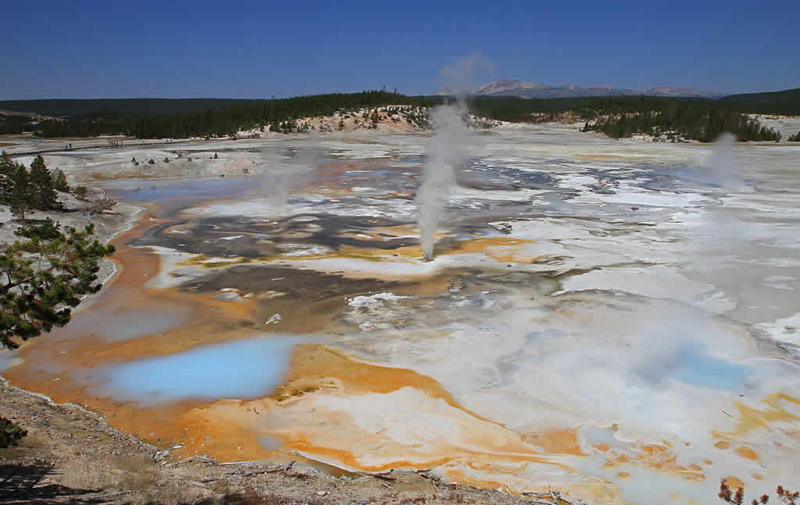 (AP) — A tourist from China has been fined $1,000 for walking off the boardwalk in the Mammoth Hot Springs area of Yellowstone National Park and collecting thermal water. Park rangers on Wednesday confirmed the death of an Oregon man who fell into a hot spring at Yellowstone National Park. They could not immediately recover the body from a geyser basin where boiling water flows beneath a fragile rock crust. A Yellowstone National Park bison calf that tourists put in their car last week is now dead. Park officials are warning visitors to follow local wildlife and park safety regulations. They say too many people aren’t, and it’s causing big problems. 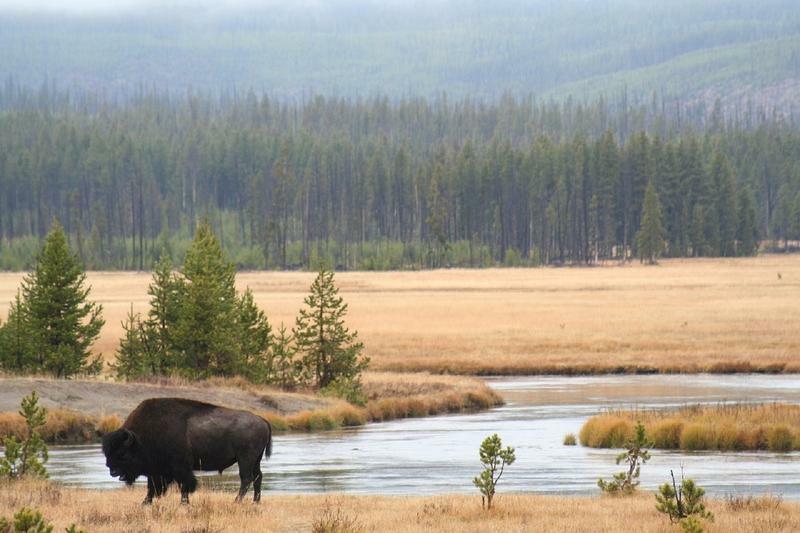 Yellowstone National Park is trying to take a new direction in bison management. The National Park Service has a plan to shift away from its nearly-annual practice of sending bison to slaughter to control population growth.